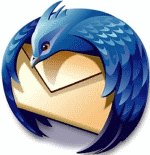 Mozilla Thunderbird is truly world’s best free email client. It provides the ease of light weight offered by web mails, and competes with industry standards like Microsoft Outlook in advanced features. Using Thunderbird, you can easily access multiple email accounts through one single window, and one common interface. You can even download emails to your local machine, and organize them the way you want. Thunderbird has built-in support for Gmail. So, it is especially easy to configure Gmail on Thunderbird. Thunderbird email application is more powerful than ever. It’s easier to prioritize and find your important email with tags and the new find bar helps you find content within your email faster. Thunderbird provides many options to help you be more productive, from the three layout views to the advanced mail filter capabilities. You can also choose from the many add-ons, adding tons more features to make Thunderbird even more powerful. Thunderbird keeps your email safely stored, protects you from phishing attacks and junk mail, and provides advanced features for email encryption. Thunderbird works on Windows, Mac, as well as Linux including Ubuntu Linux. 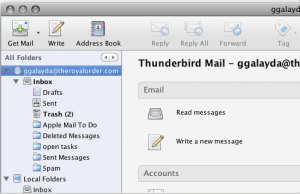 Thunderbird is a completely free open source email client, and works like a charm. I use it heavily to access my email accounts, and am thoroughly pleased with it.